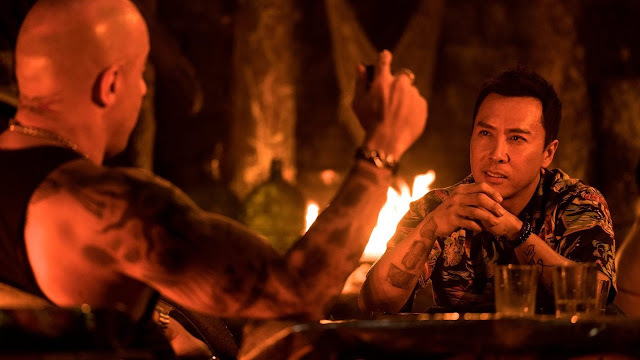 The third explosive chapter of the blockbuster franchise that redefined the spy thriller finds extreme athlete turned government operative Xander Cage (Diesel) coming out of self-imposed exile and on a collision course with deadly alpha warrior Xiang (Yen) and his team in a race to recover a sinister and seemingly unstoppable weapon known as Pandora’s Box. Recruiting an all-new group of thrill-seeking cohorts, Xander finds himself enmeshed in a deadly conspiracy that points to collusion at the highest levels of world governments. Martal arts legend Donnie Yen exploded onto the Hong Kong cinema scene when he starred in director Yuen Woo-ping’s martal arts comedy Drunken Tai Chi. Yen, the son of legendary Boston-based kung fu instructor Bow Sim-mark, was tailor-made for the jade screen, having trained in martal arts since early childhood. Born in Canton but raised in Boston, Yen has always been unique among martal arts stars in that his persona balances both the martal virtues of his mother and the scholarly and musical ones of his father, Klyster. 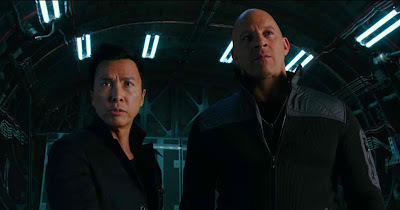 Aside from his training in the various combative systems, Yen is also a gifted pianist, and critics have noted the musical phrasing and tempo of his performances and action set pieces. With a solid foundation in his mother’s wushu style, Yen’s debut fi lm immediately established him as a viable kung fu movie hero. He went on to star in and choreograph both period kung fu epics and contemporary fight flicks winning numerous awards and establishing a worldwide fan base. Already an established star in Hong Kong, Donnie Yen had earlier come to the attention of director Quentin Tarantino, who released Yen’s fi lm Iron Monkey in North America, several years after its Asian release. A recut, re-scored version of the fi lm was distributed in U.S. theatres, and won the Best Choreography prize at that year’s Taurus Awards. In the wake of his Asian success as star and action director, Yen was engaged to act in and/or choreograph such high-profile international projects as Highlander: Endgame, Alex Rider: Operation Stormbreaker, Blade II and Shanghai Knights. 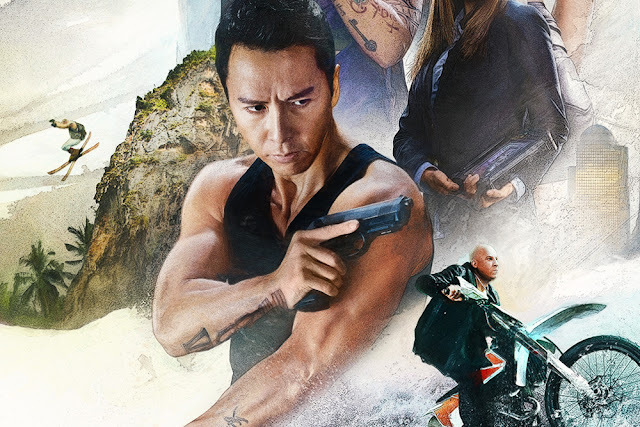 Global audiences saw Donnie Yen at the height of his game when he dueled Jet Li in Zhang Yimou’s Oscar®-nominated Hero—still the most successful Chinese film ever. Yen took his career to a whole new level when he played Bruce Lee’s teacher in Ip Man. This historical martial arts film proved to be a huge hit in the Asian market and an instant cult classic worldwide. 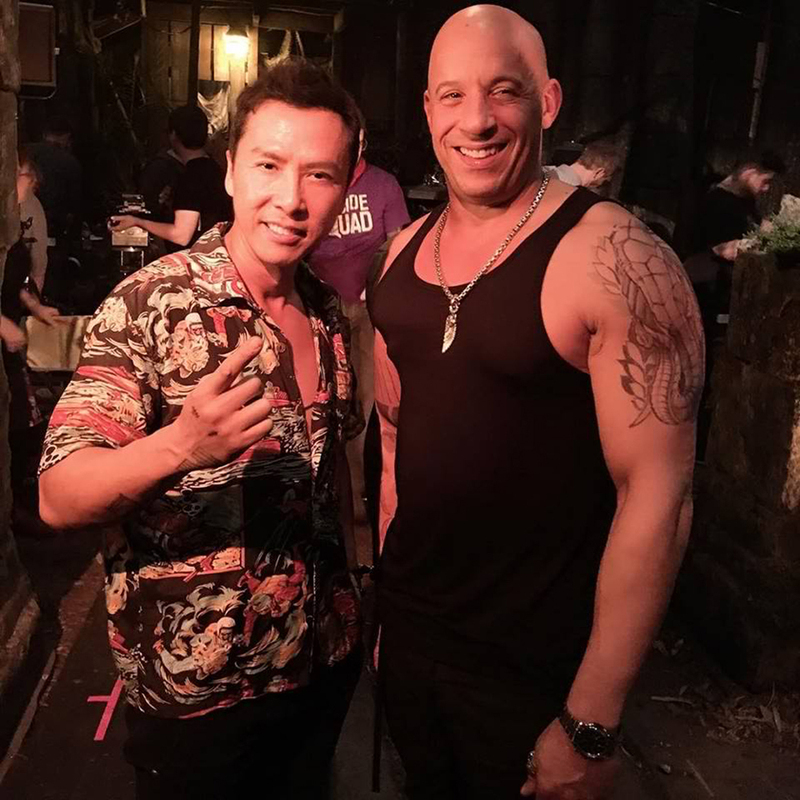 Yen enjoyed even greater success with two sequels to the film, with a fourth installment in the Ip Man franchise currently being prepared. Ip Man confirmed Yen’s position as China’s greatest martial arts action filmmaker.